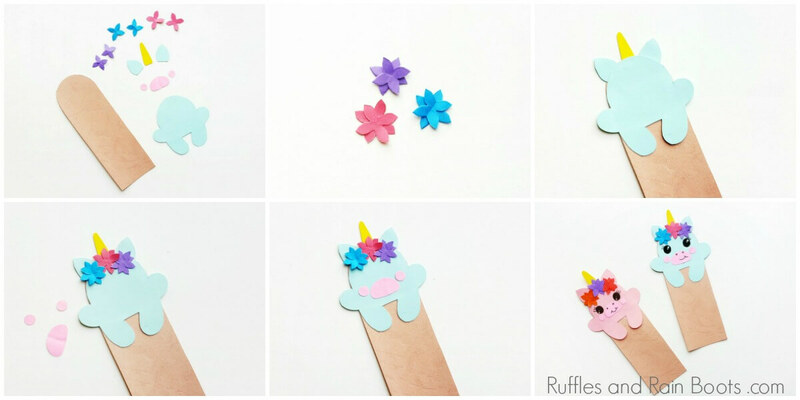 This adorable baby unicorn hug bookmark with a free printable template is so much fun to make. We made ours as a unicorn birthday favor! Here at Ruffles and Rain Boots, I love to work with paper. Paper crafts (both for kids and adults) are usually something we can do anywhere with only a small amount of craft supplies. 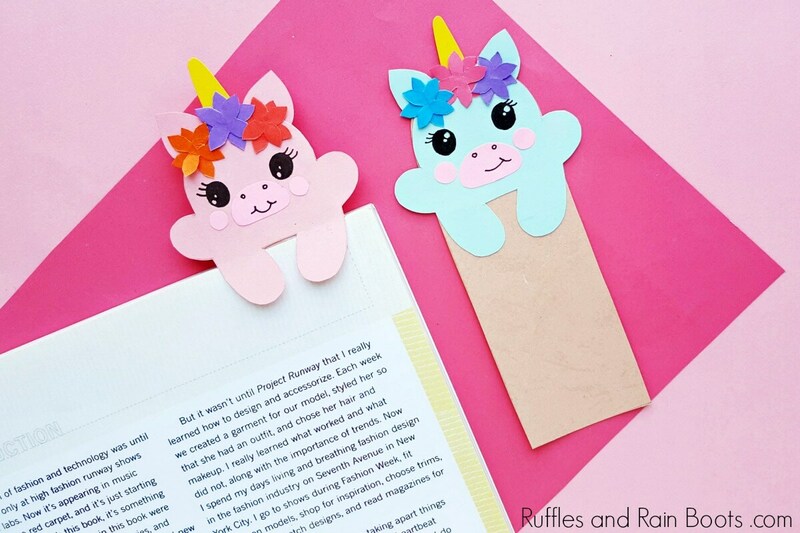 These unicorn bookmarks are in a fun “hug” style – the little baby unicorn’s arms sit on top of the page to hold the place. And friends, my little early reader just loves it! We even made it recently (using the Cricut), so if you don’t want to cut the pieces, you don’t have to! No Time to Make This Right Now? Pin It for Later! 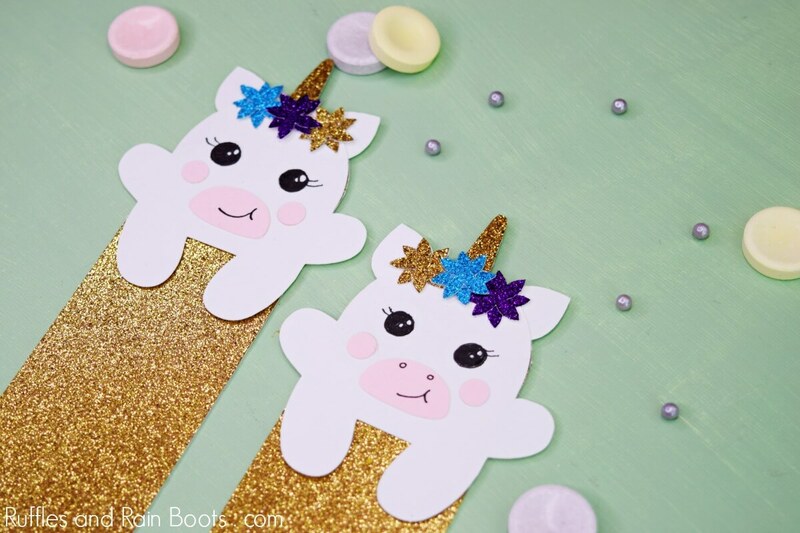 Most recently, we made glitter unicorn bookmarks for a party. The only difference with the glitter paper is that, depending on the glue, you might have to staple it to hold because it’s a thicker paper. Cut out everything and assemble the flowers first. It’s so much easier to attach them why they’re dry. If you’d like the Cricut cut file for this project, access it here in the Cricut Design Studio (it’s so easy). 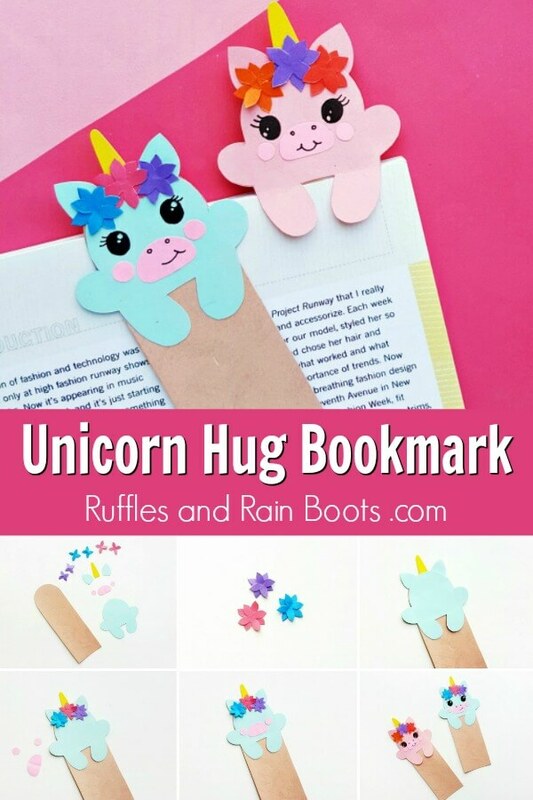 How Do I Make a Unicorn Bookmark? 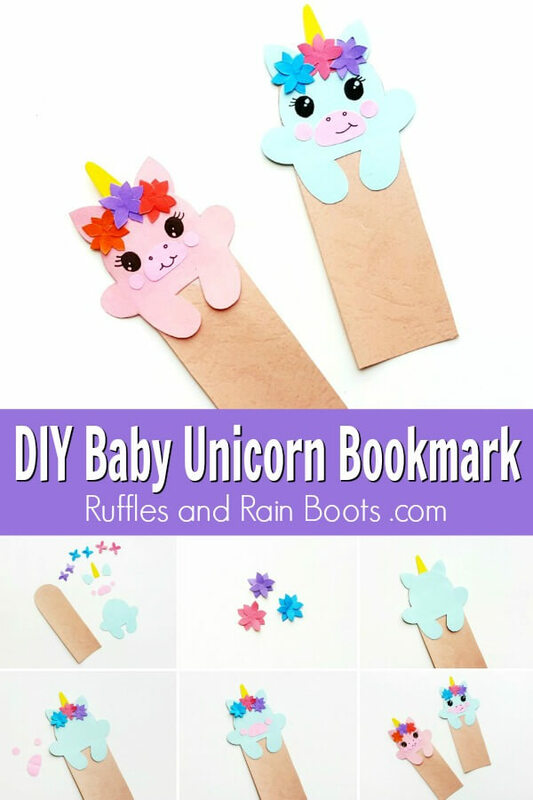 Let’s get started making these easy unicorn bookmarks. 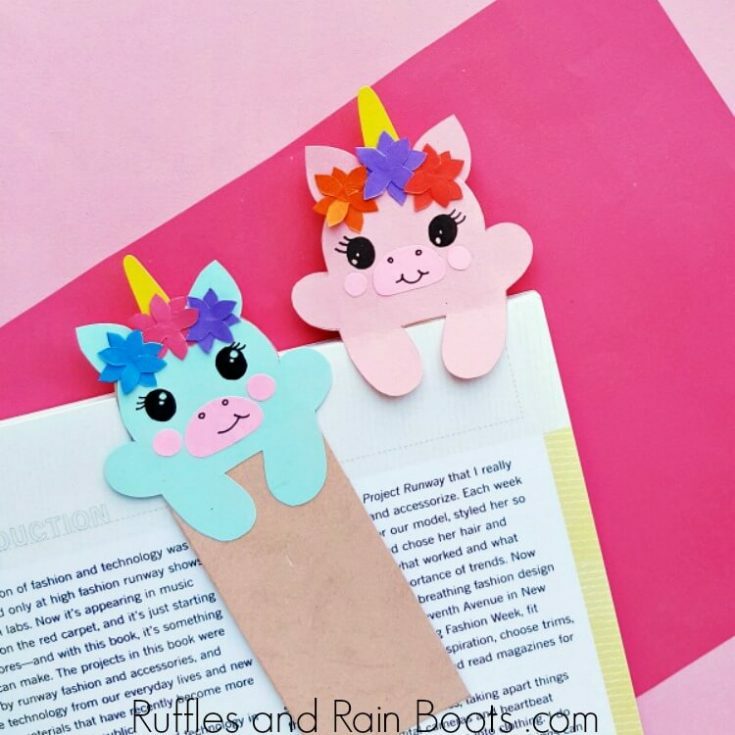 And if you’re making a unicorn crafts playlist on YouTube, here is our baby unicorn hug bookmark video tutorial. Otherwise, read below for the how-to. If using the Cricut Design Space template, open the design and cut the mats for your colors. Skip to step 3. If using the printable template, print and cut out the pieces. Trace onto your color card stock and cut out everything. Glue the flower pieces together (2 pieces per flower) in a criss-cross design and set aside to dry. Glue the horn and ears along the top section (curved portion) of the longer piece. Glue HALF of the unicorn body (starting at the head) to the top of the same longer piece. The arms will dangle over the page, so do not glue those down. Glue the flowers on as the unicorn crown. Glue the muzzle and cheeks on. Using a pencil, mark the nose and smile (or smirk) and the placement of the eyes. Go over it in black marker and your unicorn hug bookmark is done! Unicorn Rock Painting – If you like painting and glitter, this is your next unicorn DIY! 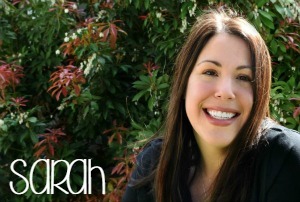 Printable Unicorn Party Game – Everything you need is right here for unicorn party fun. Make This Fun Unicorn Mask – It comes with a free printable to make it easy!